If you’ve loved someone and they’re no longer with you. If you’ve experienced a life-changing event that’s changed your world forever. If you want to share something of your past with your future. Then you will understand where my passion for creation comes from. But in an ever-increasing disposable world, I fear we’re losing the ability to create keepsakes that can be passed down through the generations. Mementos that hold memories and stories and tales of the past. Items that are beautifully hand-crafted, with attention to detail and the love of the work poured into them. When you have a special connection with someone – be it a child, parent, grandparent or mentor – they will be forever in your heart. They will always have a piece of you, and you will always want to keep those memories alive. Since starting Keepsakes by Nicoleta in February 2016, I made hundreds of keepsakes for hundreds of people around the world. My passion for creating and helping people celebrate life, no-mater which stage they are at, has grown more and more and I would like now, to be able to teach people to create for themselves and their loved ones while I continue to create too. Don’t forget to join my DIY Community group on Facebook: “Keepsakes by Nicoleta – DIY Community” for tips and tutorials to help you create your precious keepsakes. 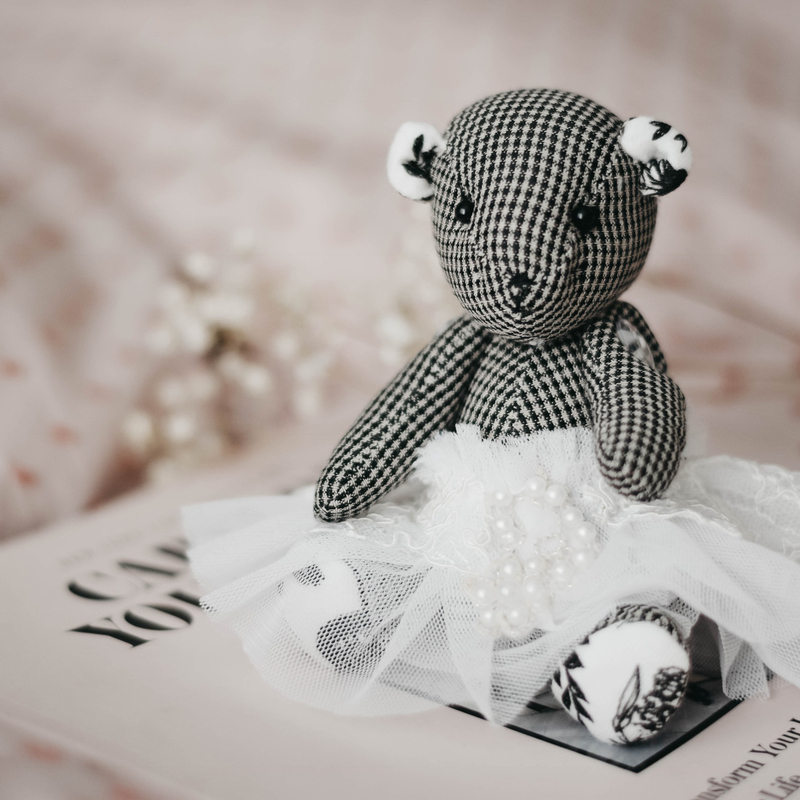 From plush children’s toys and quilted blankets that are flawlessly handcrafted, to family heirlooms and angel keepsakes that offer a piece of peace, each keepsake is as unique as the memory it captures. 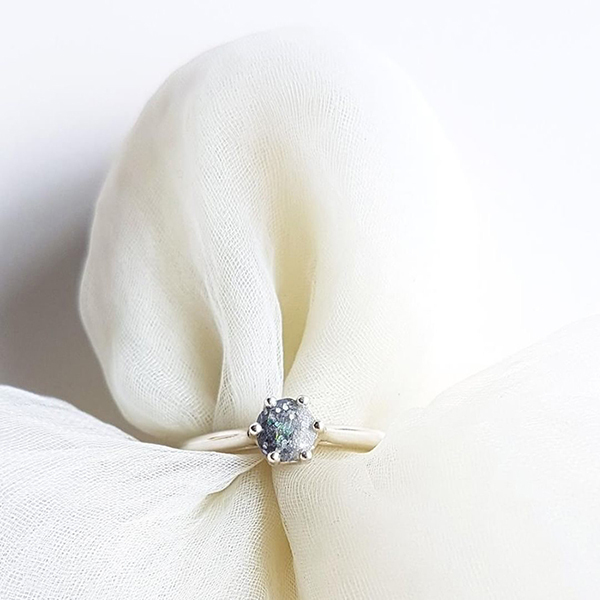 Why choose Keepsakes by Nicoleta? Experience. I’ve been sewing for over 30 years. Not just on machines, but hand sewing, doing embroidery, lacework, knitting and crochet. I know exactly how many stitches you need to keep a button in place and where to reinforce seams to handle extra wear. I create my own patterns and templates that can be adapted to suit materials and embellishments. I know what patterns and colours work well together to make a piece that’s not only practical but stylish. Quality. Keepsakes by Nicoleta has always been about quality – whether it be workmanship, materials or service delivery. It means that my treasures are not for everyone. Yes, I’m booked out a way in advance. Yes, you can find someone to make it for you cheaper. But if you want a keepsake that will become a family heirloom, my advice is always that you get what you pay for. I don’t send your things off-shore to have them made cheaper. I don’t use cheap haberdashery to make more profit. And I don’t provide you with an unrealistic expectation, so have to compromise on workmanship to meet the delivery date. Honesty. From the day I started my business, I made a promise that I would always be honest with my clients. I place a little piece of my heart into everything I make, so I want them to look amazing for you. I will always tell you if you something won’t look right with the material you have, or if the design is a bad idea. For me, the final product has to be as close to perfect as it can, so I can hand it to you, knowing you will love it as much as I do. Trust. Opening your heart to a stranger is hard. Especially when it’s about times in your life that are filled with big emotions. I understand. Having suffered a deep loss, I know how painful it can be. Having experienced great joy, I know how emotional you can feel. But the telling of the stories is an essential part of the process. As you speak to me, it helps me to picture your keepsake in my mind. Please trust in me that your stories are safe and that I want to hear them. Kindness. Compassion and empathy are two characteristics that are essential for this work. I like to connect with clients, to truly understand them and where their hearts are at. As we work through the process, I am truly grateful that I get to help people in this way. It brings much joy to use the skills I have to bring you joy. What do others have to say about Keepsakes by Nicoleta? Here’s what our clients say about us. To read more feedback, head to our Testimonials page. “I can’t thank Nicoleta enough for helping my sister and I keep my mother’s memory alive with our beautiful bears. We had three bears made with our mothers clothing and Nicoleta made the process so easy and simple. From the moment I placed the order to the final product, Nicoleta has been so easy to deal with and has included me every step of the way.